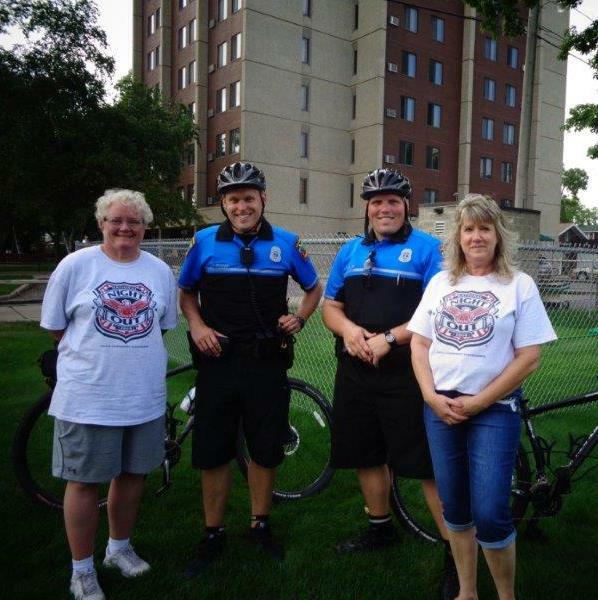 Tuesday, August 4th marks the 32nd National Night Out and the 18th Annual celebration here in La Crosse! National Night Out (NNO) is an annual event in which Neighborhood Watch groups get together across the nation in the form of local block parties, cookouts, and youth programs. The NNO campaign involves citizens, law enforcement agencies, civic groups, businesses, neighborhood organizations, and local officials from across all 50 states, U.S. Territories, Canadian cities, and military bases worldwide. Last year alone, over 38 million people from 16,124 communities participated in NNO. To find out more, contact the Professional Standards / Community Services Bureau at (608) 789-7240. I understand that Onalaska is also having one. Can you give me details on it?